Get ready for the best tailgate ever. Whether you're gaga for Green Bay, or partial to the New England Patriots, you know nothing beats a great tailgate. 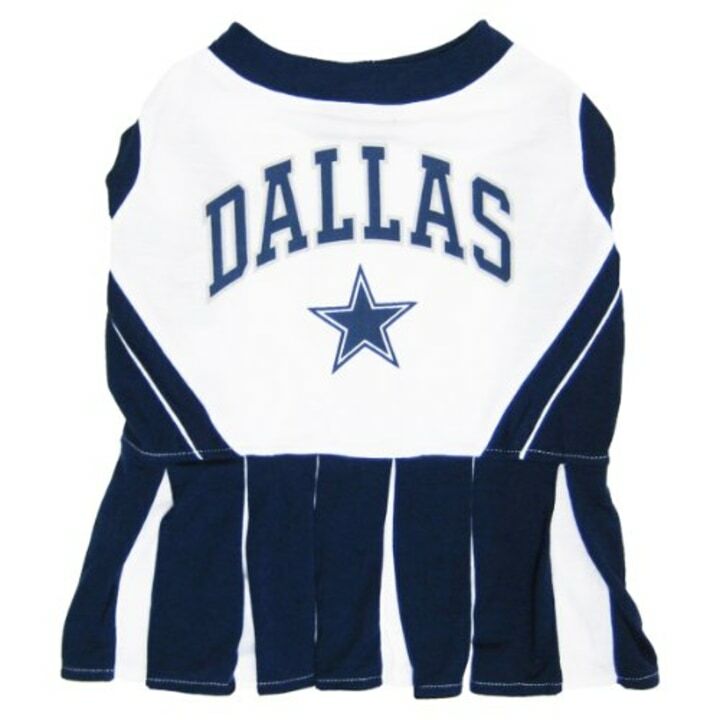 So pull on your jerseys and get ready to cheer on your favorite team. 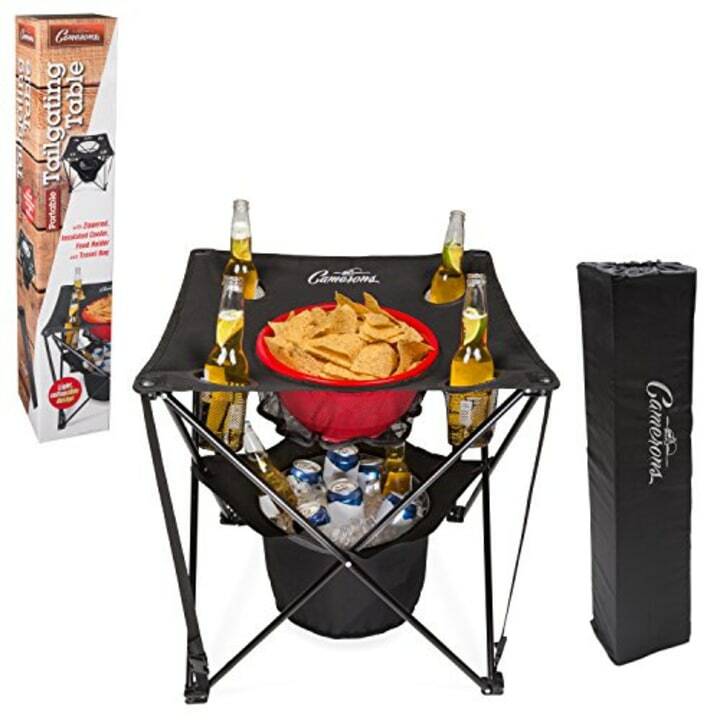 But of course, every proper game needs great football-themed gear and grub. So, we enlisted lifestyle guru Chassie Post to help us score a touchdown with stuff you'll want this season, along with a few of our favorite editor picks. You'll be in a league of your own. 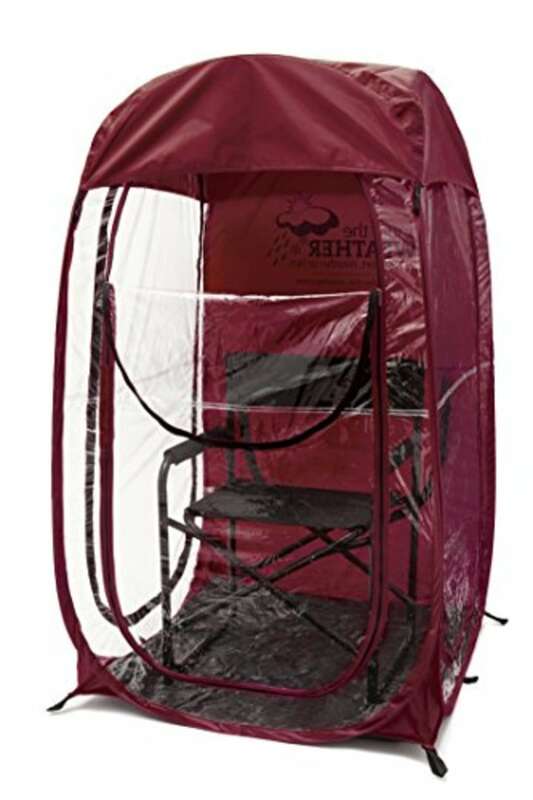 A cloudy day won't stand in your way because no matter what the weatherman says, you'll stay warm and dry in this pod. 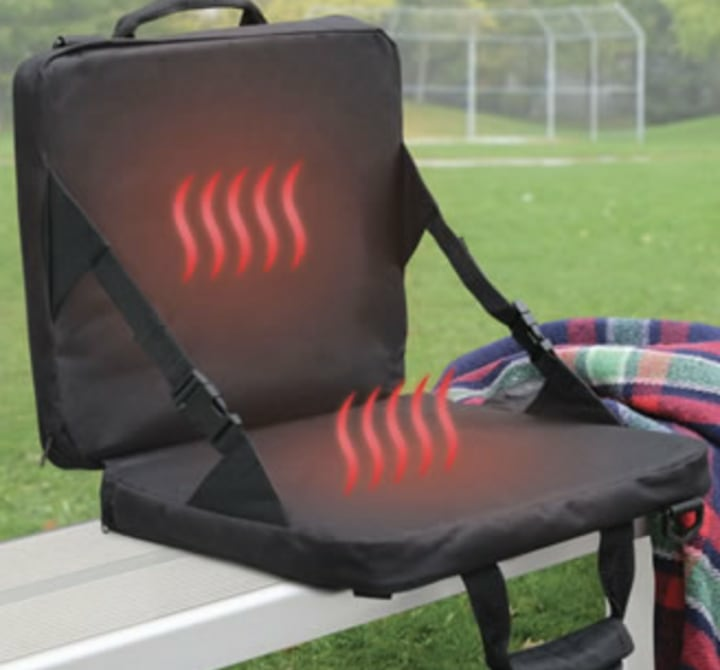 Keep your bottom warm, and your back supported, with this must-have game-watching accessory. You can choose your heat setting. 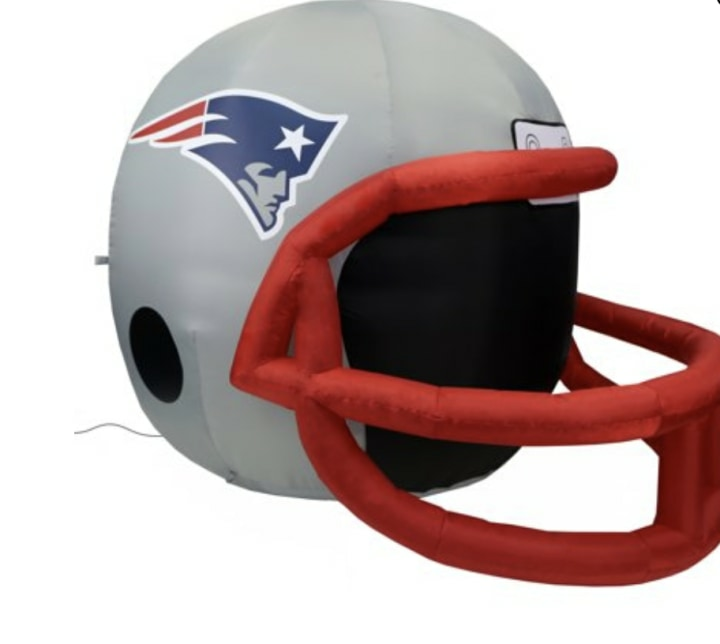 The neighbors won't be able to forget what team you root for with this sitting on your lawn. 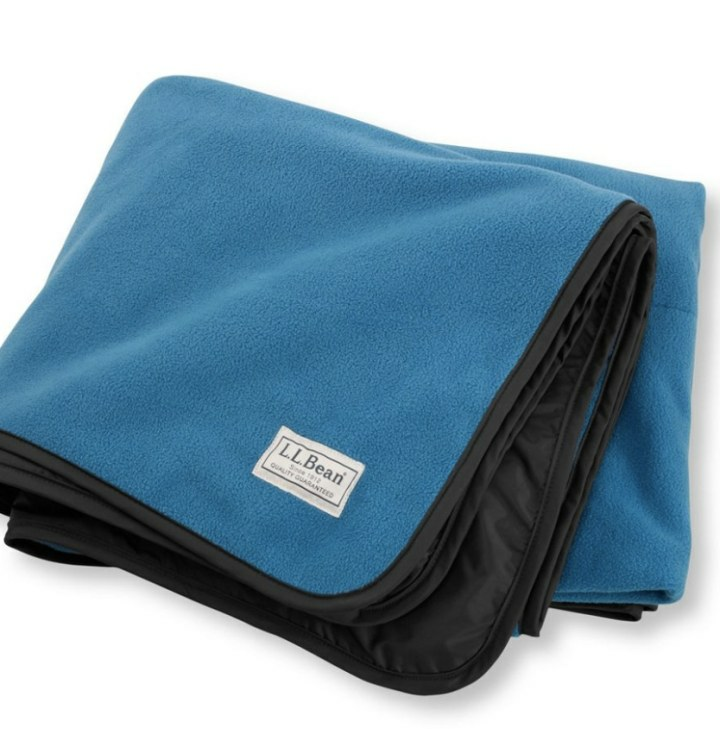 You'll be warm and dry in this cozy wrap, which has a rugged surface that keeps the fleece side water-free. Folks, we found the solution for dropping your burger on the ground. 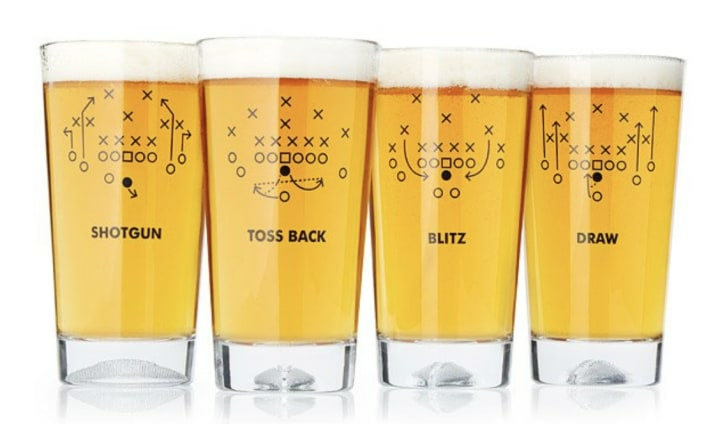 This plate fits around your beverage so you can drink, eat and cheer with no fuss and no mess. 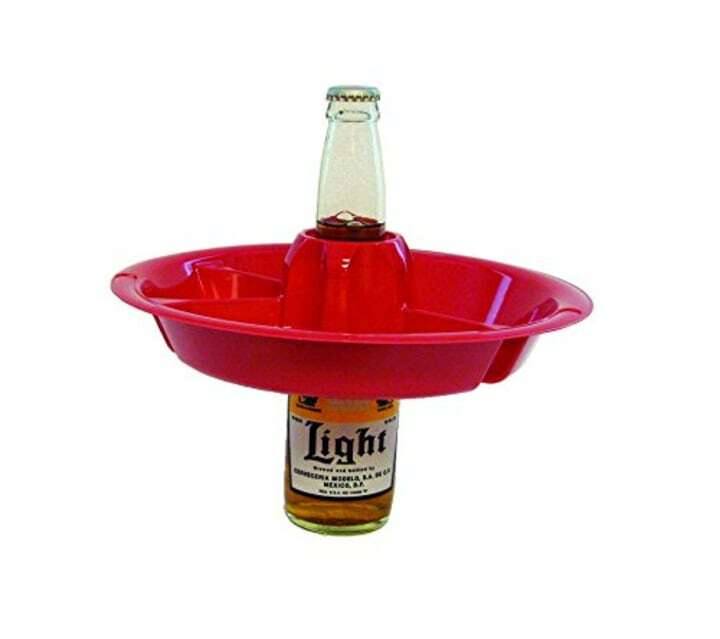 This fits your brews, and your chips. 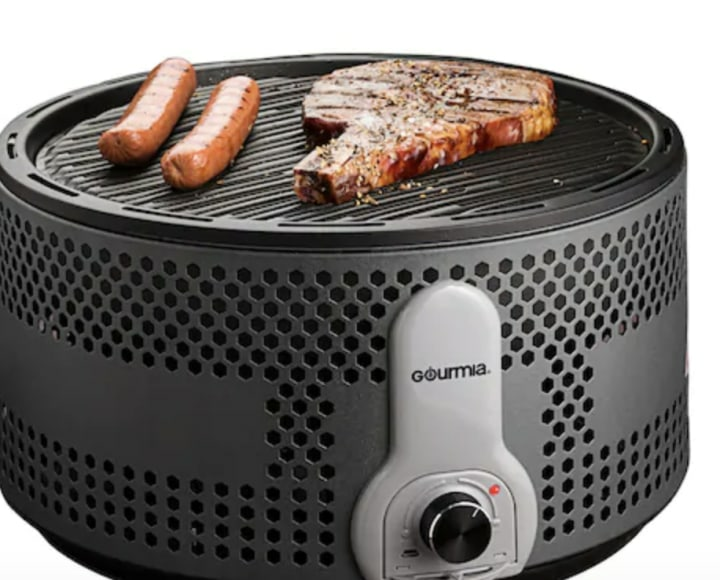 This is the perfect portable low-smoke grill, with a drip-reduction system and battery-operated fan controls. 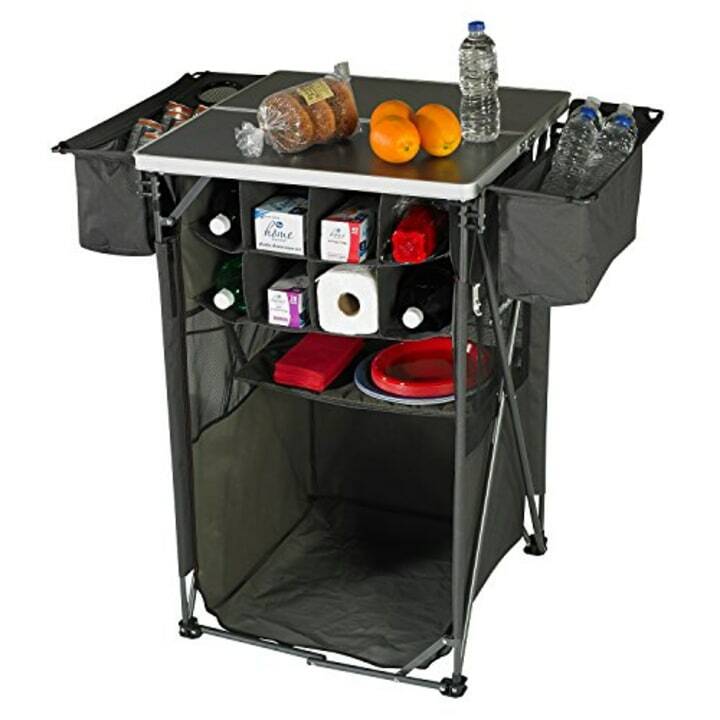 Need an on-theme way to serve your burgers and drinks? 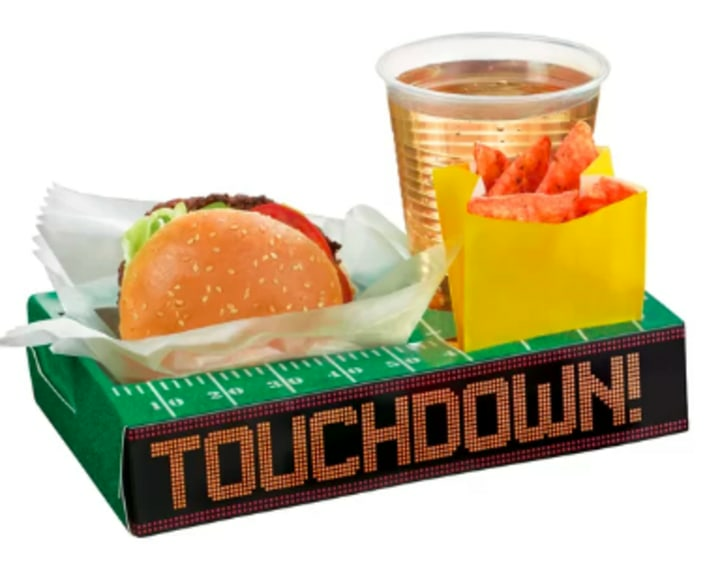 Behold this touchdown tray. Chili? Queso? Soup? 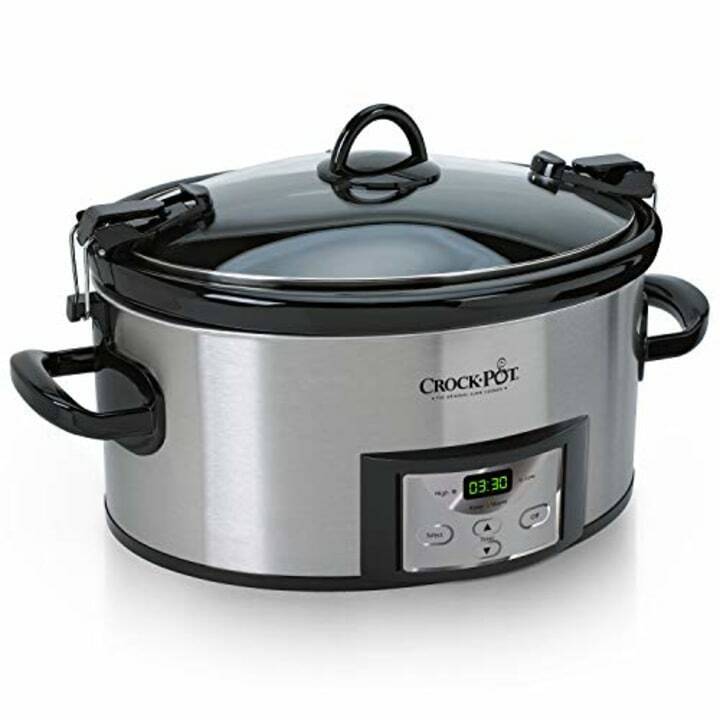 Keep it warm while toting it along in this six-quart cooker. Then, add some gourmet pigs in a blanket for the finishing touch! 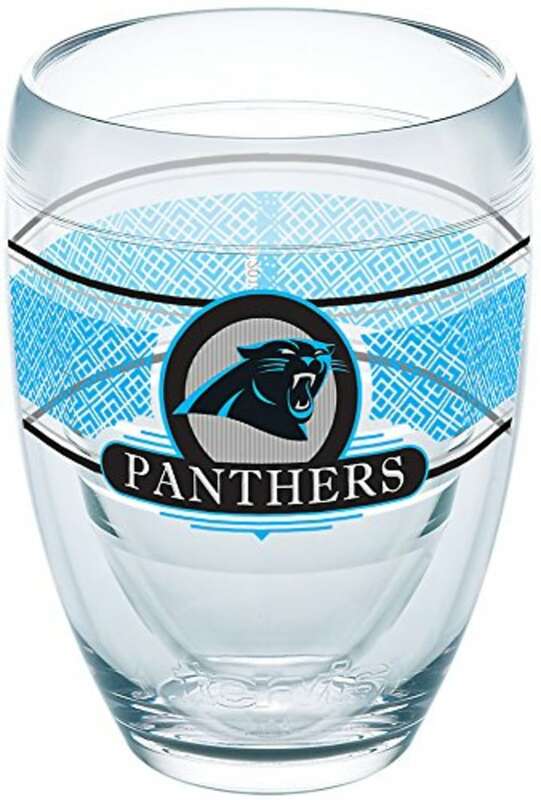 If you're an oenophile who doesn't like spillage or breakage (and really, who does), check out these very cool glasses with double-wall insulation to keep hot drinks hot and cold drinks icy. You'll want to save these for games you're watching from the comfort of your couch. But seriously, how cute are they? 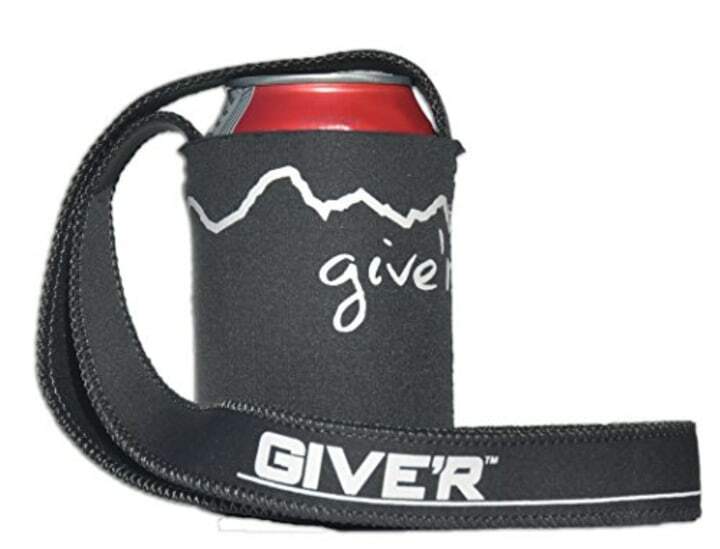 Keep your drink cold, and your hands free, with this beverage bag. What is it that you say? You mix the world's meanest drinks? You'd love to moonlight as a bartender? You're welcome. 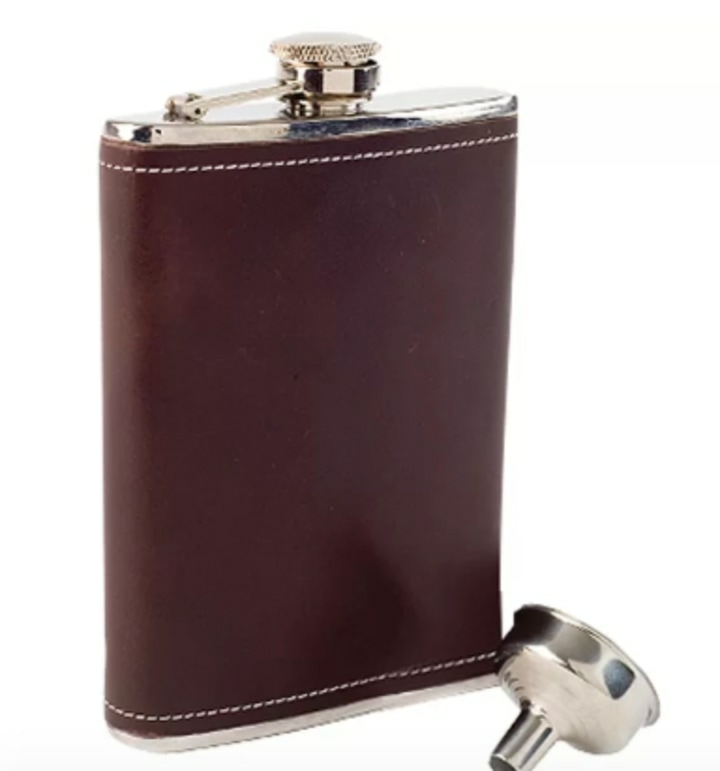 The flask is handy and classy. Oh, and discreet. 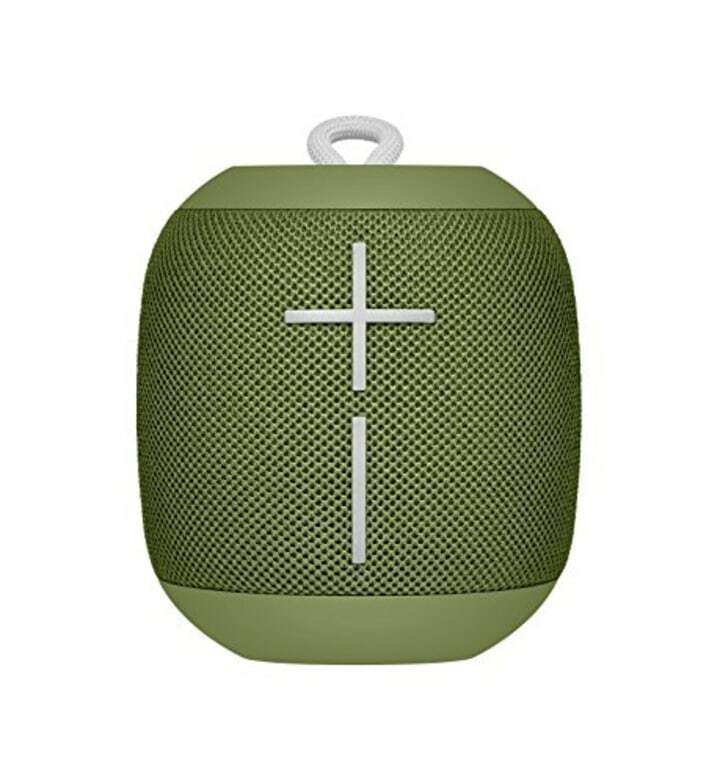 These are great for rough weather and come in so many fun colors. 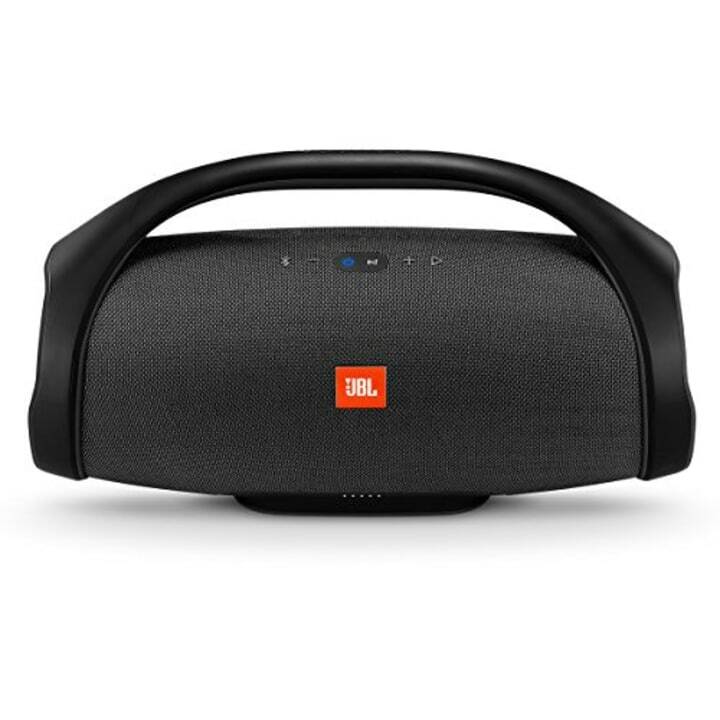 This is a Consumer Reports favorite, so we're sold. Your four-legged buddies want to cheer right along, and now, they can. Three cheers for this adorable ensemble! We love this very cool vintage-inspired T-shirt. Pair it with these glitter shoes or customized team sneakers. Forget Paris Fashion Week. 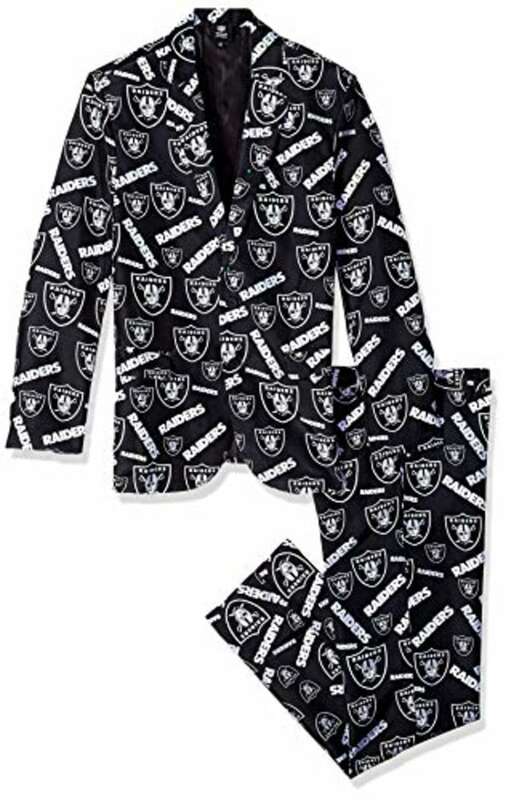 You'll be making your own colorful, and dare we say gaudy, statement in this suit. 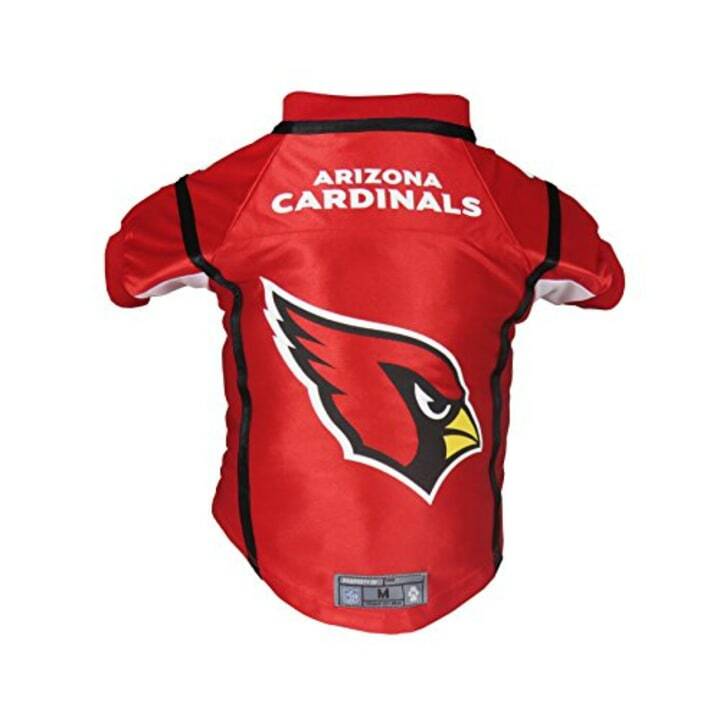 Don't forget your little NFL fans! 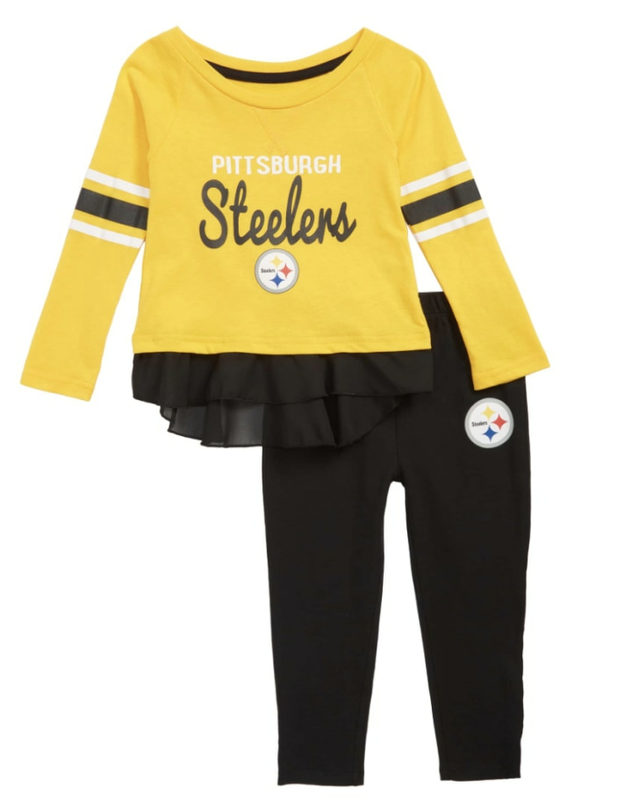 Outfit them in these adorable sets.